Inside and outside the auction. Yes, he is using a cell phone. 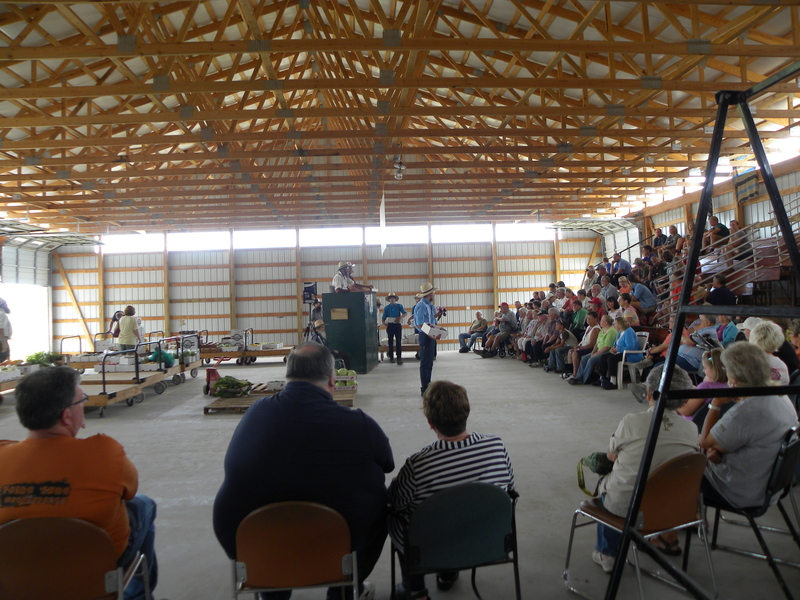 These are some scenes from the auction I attended today in St. Charles, Minnesota. I don’t like to be intrusive with my picture-taking. I feel like I am being rude to bother people with it. 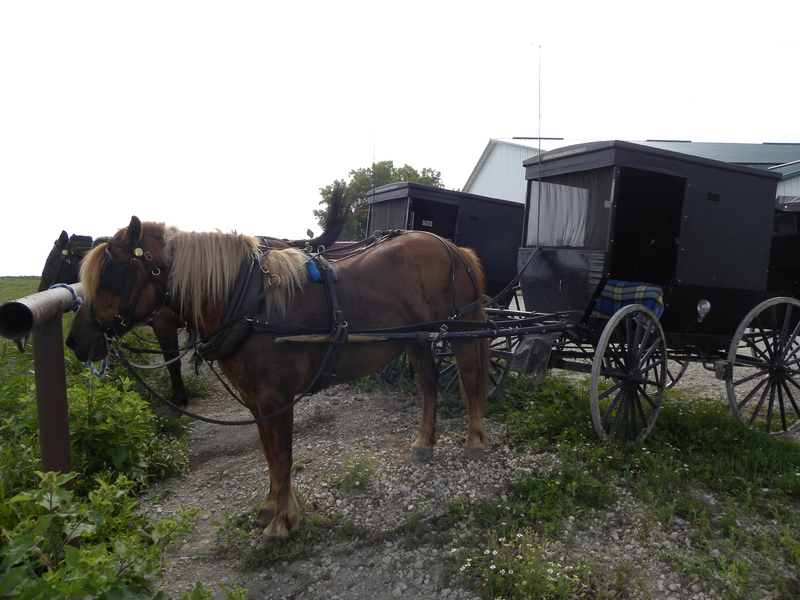 We met some really friendly Amish people. The lady who sold me a doughnut gave me a tip to handle squash bugs: spray sugar water. Hmm. I might try that next year. I told her I usually wrap my plants in tin foil to confuse the bugs, but I was too late this year. Inside the auction. Note the glass around the top which lets enough light in to avoid the need for artificial light during daylight hours. 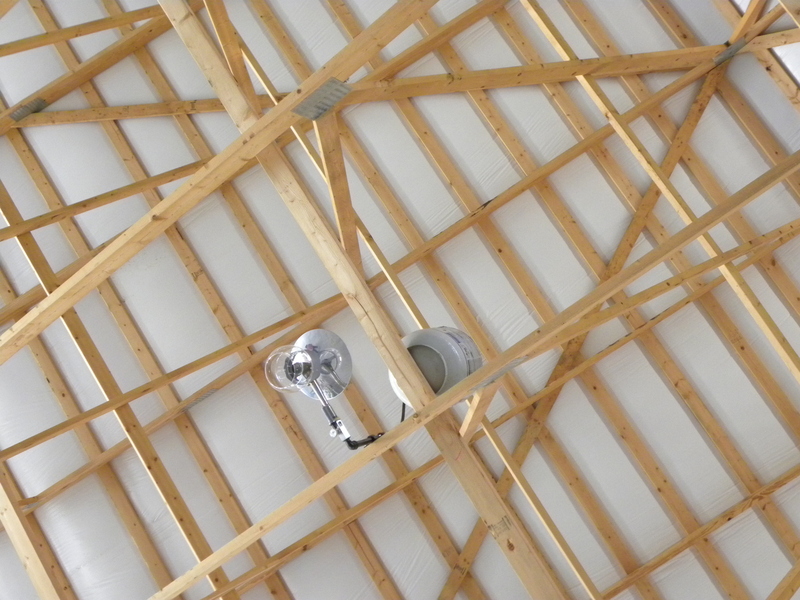 Ingeniously green–something all barns/halls should have this feature to reduce energy usage. 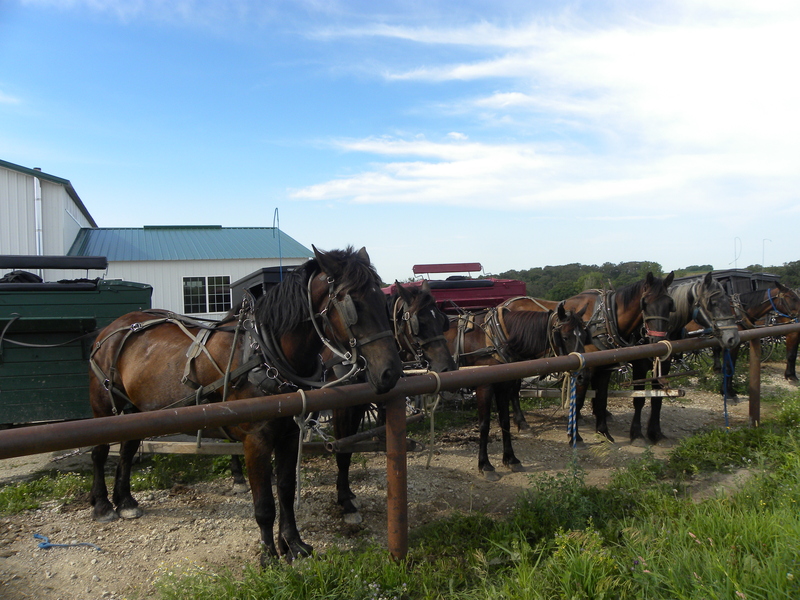 Horses impatiently waiting for their owners. Propane lights. The Amish don’t use electricity. So, you’d think it would be all candles and darkness. This group has decided that propane does not break their rules. Pony and buggy. 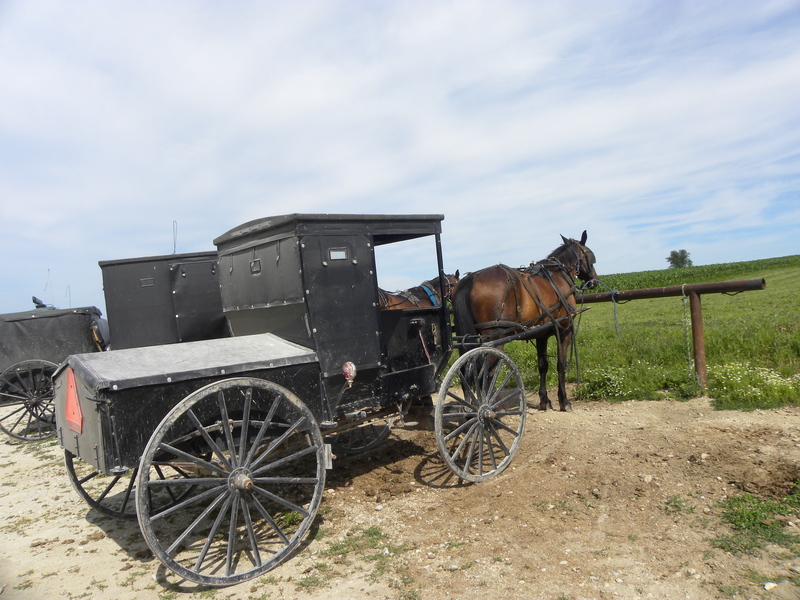 Different groups of Amish argue about the appropriateness of buggy coverings. 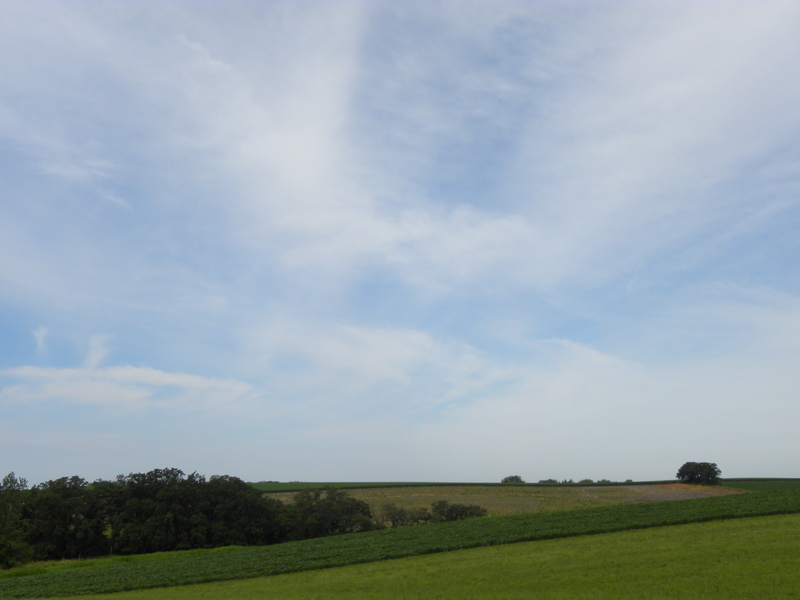 Rolling hills outside the auction house. 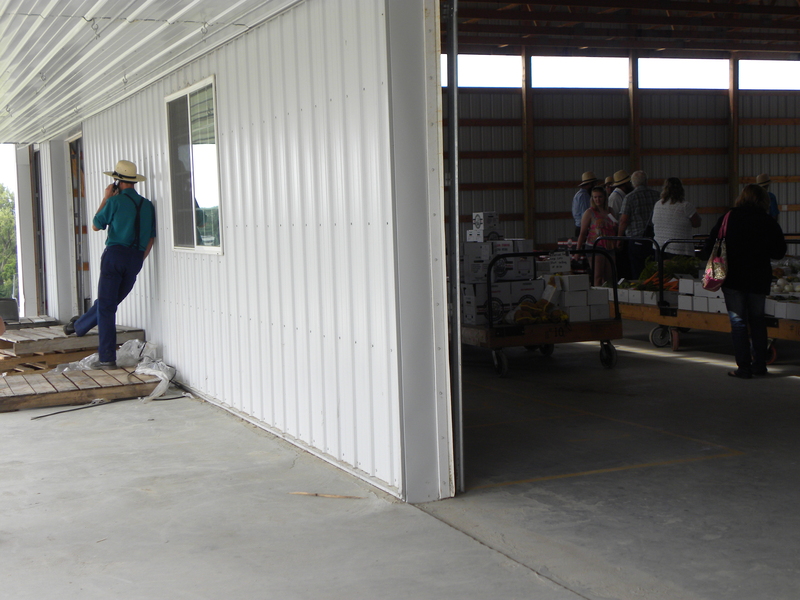 The Amish are not a monolithic group. Each sets its own standards within agreed-upon individual community standards. From my perspective, I feel that other Americans could learn a thing or two about good manners from the Amish. They don’t put on airs. If they are judgmental about my relatively revealing clothing, they certainly don’t get in my face about it. On the other hand, I do find some of the more conformist aspects of their culture to be problematic. While it can be a good practice to recognize one’s place in the world, too much submissiveness can result in an individual tolerating abuse and exploitation. That’s the dirty side of the shiny coin.